Through the eyes of satellites, roving Google trucks, aerial imagery, and more, we have plenty of eyes on our planet. But what does it sound like here on Earth? 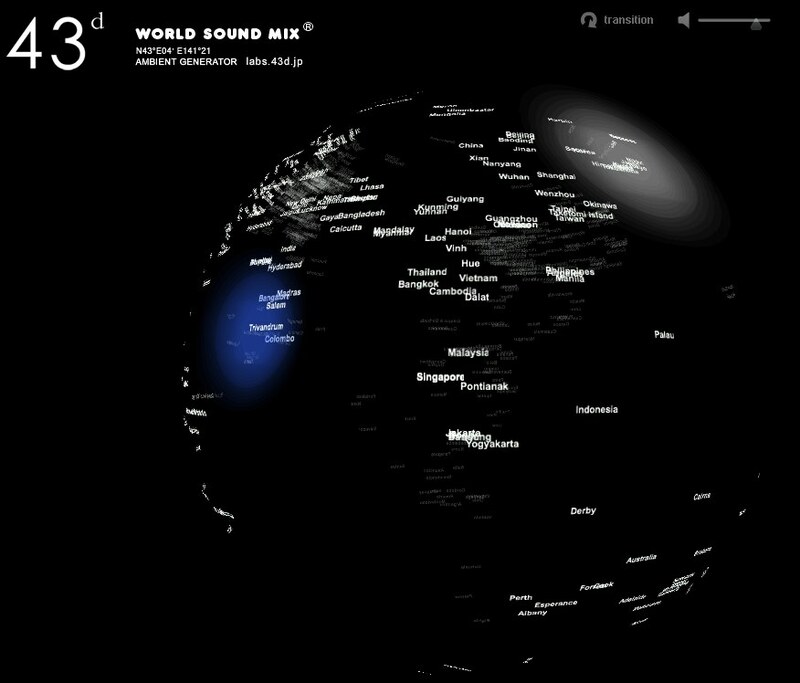 In a Web application and accompanying art installation, the world turns as it echoes sounds recorded around the world on Creative Commons-licensed site Freesound.org. It’s stunning to hear our world’s acoustic diversity – in some strange way, even more than seeing it, in that sounds can instantly give you a sense of place and time. You can load a version on your browser or on the iPad; then, from the world’s cities, listen as sounds mix automatically from one locale to another in an ambient sound score. The basic notion is something we see repeated regularly, even with this visualization; this is a fantasy those of us who work in sound routinely entertain. But it’s doubly worth mentioning, in that it’s an excuse to mention the lovely Japanese label/artist/laboratory 43d. 43d engages sound through a variety of tools. In the 43d laboratory, the spinning Earth interface finds its way into an installation (video below), iPad app, and browser app, as workshops send participants into the field to listen to their environment and gather more sounds. Such exercises have an added bonus for us electronic musicians, of course, as collected sounds can easily become the raw materials of music in any genre through the wonderful alchemy of our machines. “World Sound Mix for BankART LIFE3” is a sound visual installation, generating new soundscape around the world. This work continues mixing the sounds at selected two points somewhere in the world from the database of huge quantities of environment sounds and generating new soundscape. World Sound Mix is based on a sound database from Freesound project, its sounds have been recorded and gathered by sound hunters around the world. 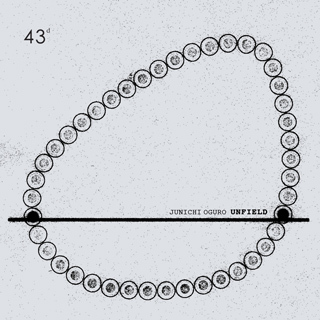 The use of sound data is under the CreativeCommons Sampling+ 1.0 License. By the username and “freesound sound ID” shown on the globe, listener can refer to original content. He started to compose music since his childhood, and received a grand prize at a national contest. In 2006 he visited Berlin for making music in various fields from commercial music for TV spots to sound space design in various areas of Europe. He also showcases sound art pieces in the realm of the contemporary art. He manages an ambient label “43d” which was established for creating leading edge sounds. Hope to hear more from this whole project.